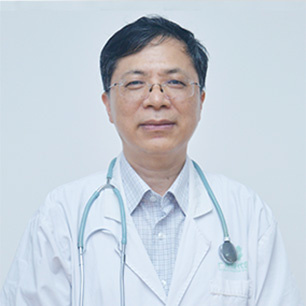 Specialty: Specialized in TCM treatment for cancer, such as lung cancer, liver cancer, stomach cancer, colorectal cancer, pancreatic cancer and nasopharyngeal cancer. also masters knowledge and made contribution in several fields such as, reducing the side effects of chemotherapy and radiotherapy with traditional Chinese medicine, preventing cancer recurrence with traditional Chinese medicine, health care and diet conditioning and cancer prevention with TCM. In addition, he has accomplished a number of national, provincial and municipal research projects; published dozens of medical papers; enthusiastic social welfare undertakings and popular science education, published six books such as Cancer is A Chronic Disease that can be Managed, etc. In 2000, he found and established a professional website for "Oncology Consulting Online" he also made contribution in popularizing common sense on medical science and advocates a healthy lifestyle. Traditional Chinese medicine, oncology, Chinese internal medicine, Chinese medicine for intractable diseases, Chinese medicine for health preservation, diet and health care. Lung cancer, liver cancer, breast cancer, stomach cancer, colorectal cancer, pancreatic cancer, nasopharyngeal cancer, gynecological oncology, thyroid nodule and Chinese medicine for intractable diseases. graduated from Gannan Medical University and graduate School of Shanghai University of Traditional Chinese Medicine.